URGENT! Is your surge protector doing its job to protect your machine? You will want to read the article below! We arrive in people's homes every day only to find that they have purchased a surge protector from their local home improvement store. Most of these surge protectors are not adequate in protecting your quilting machine. ​Read the article below that Mark, an experienced AQ tech wrote. "Many customers will ask “how do I know I have a good surge protector”? 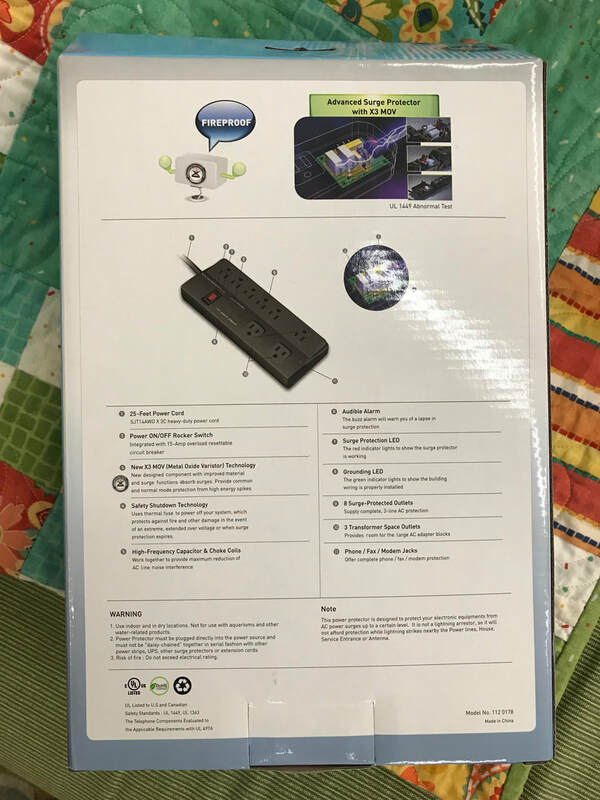 Surge protectors and power strips are NOT the same, power strips are generally no better than plugging into a power outlet and if they offer any protection at all it is very minimum. Surge protectors are rated on a scale of how many “joules” they offer, once these joules are exhausted the surge protector is no longer protecting the plugged-in devices. The surge protector that we offer at A/Q has 1080 joules which is above what many industry standards call for." How would someone know if a surge protector is still protecting your equipment? Many surge protectors will come with a light that illuminates when protecting. Our surge protector offers not only a light to show it is working BUT also offers an audible alarm when a lapse in protection is observed. 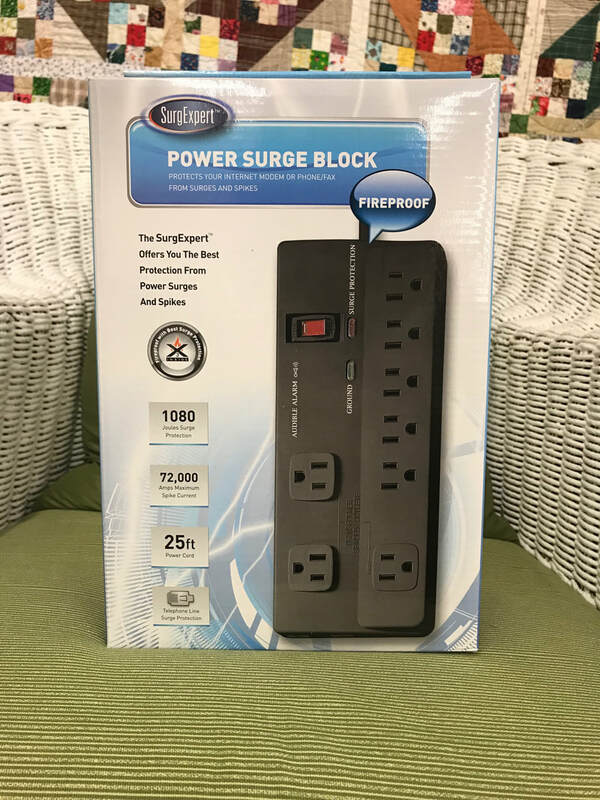 A rating of 50,000 amps spike protection is typically what a whole house would need, our surge protector offers a maximum of 72,000 amps spike protection. Some protectors will have a lag before protection actually takes affect which will subject your equipment to harmful current. Our surge protector offers < 1 ns (nano-second) response time which is considered the industry standard to look for. The surge protector we sell also offers a 360º rotating flat plug to position the plug at any angle you desire in outlet. Our surge protector will use a thermal fuse to shut off your system in the event of a fire or an extreme or long- term surge or over voltage instance. If you are interested in purchasing the protector that we have in stock please click on the picture below and order the protector that will protect your investment.